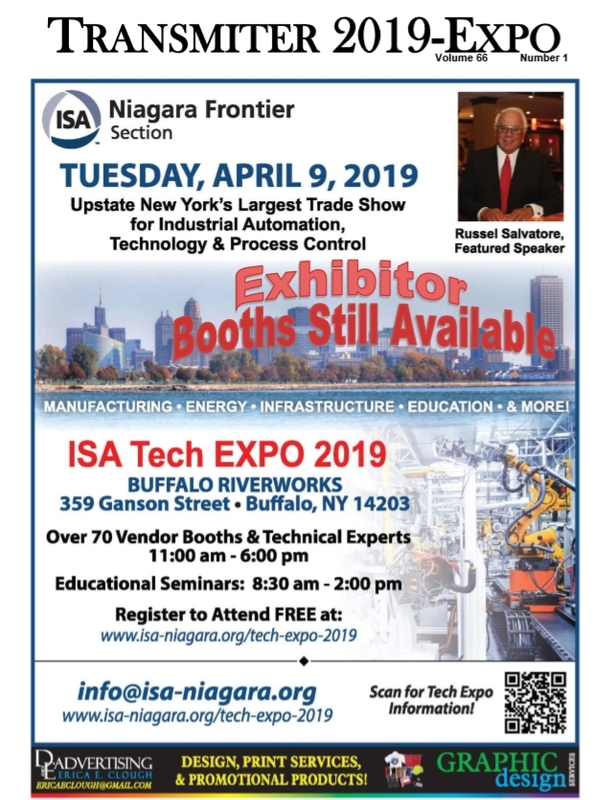 Buffalo Niagara ISA is a local, not-for-profit chapter of ISA – The International Society of Automation. Our homepage is http://www.isa-niagara.org/. The ISA is a world-wide, professional services organization whose members are involved with equipment and instrumentation that is utilized for purposes of conducting measurements as well as automating and controlling processes. Our membership is comprised of approximately 140 individuals from the Western New York and Northeastern Pennsylvania area as indicated by the dark gray portion of the map above. Members include both users and providers of instrumentation. Our Board of Directors is 100% volunteer. We foster interest in the field of instrumentation by sponsoring several student sections in association with local colleges and universities and by offering scholarships to qualified individuals. Through our activities and meetings we offer many benefits to our members including educational programs, a local instrumentation trade show, the opportunity of networking with colleagues from the instrumentation community, and access to industry standards and practices.